Fifteen-year-old Catalina Rascón has dreams of becoming a doctor and winning a gold medal at the 2020 Tokyo Olympics. Such clear ambitions might be common in many teenagers today, but not for those where Rascón hails from. She is a Tarahumara, an ethnic group suffering from endemic poverty and hunger in Chihuahua, Mexico. Despite the odds being stacked against her, Rascón is clear about her goals, and as she stated in a recent interview with Al Jazeera, she hopes to become a role model for her community. It seems like she is on the right track. Carlos Ortega, a former professional soccer player who now directs a project that aims to train 25 Rarámuri children in Olympic-style running, sees Catalina as his role model. Despite the many obstacles, Catalina seems positive and determined to endure anything that comes her way, just like her people have been doing throughout history. 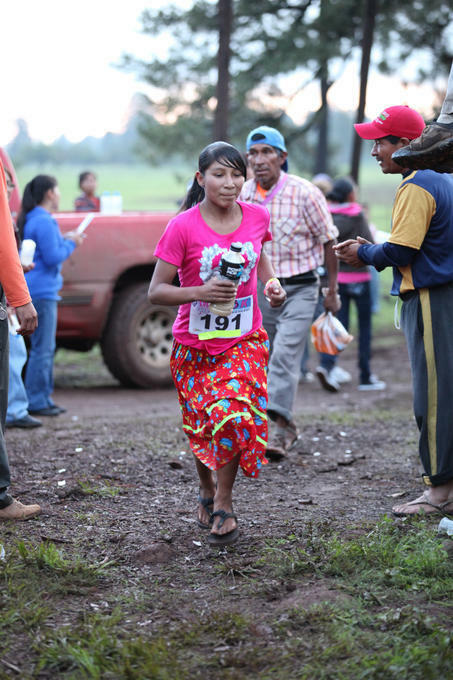 Responses to "This 15-Year-Old Tarahumara Runner Is Training for the 2020 Olympics"